This beautiful masterpiece Persian Rug is pure silk and weaved in the city called Qum(Qom). Qum is a holly city in Iran and it is known for it's silk rugs around the world. The city is located in the central northern part of IRAN and has very dry weather very close to the capital city. 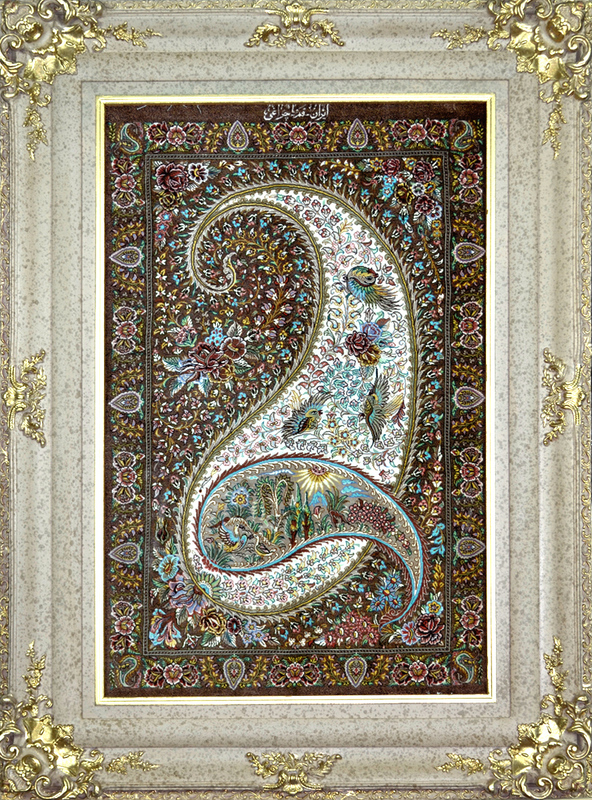 Qum(Qom) Silk are among the best known and most expensive silk rug around the world. All the Qum(Qom) Silk rug are weaved by using a single knot techniques. The color on this piece are very bold and they blend in together extremely well. The design is a very rare design and it has lot small details in itself. Qum Silk rug are not and cannot be mass produced, for this reason it makes them more expensive and they intend to keep their value significantly high and keep increasing their value. People buy them as an investment the same way they do buy gold back in IRAN.